Summerwind Trails, previously known as Summerwind Ranch at Oak Valley, is a new home development scheduled for construction in east Calimesa, California, on the border its neighboring city of Beaumont. 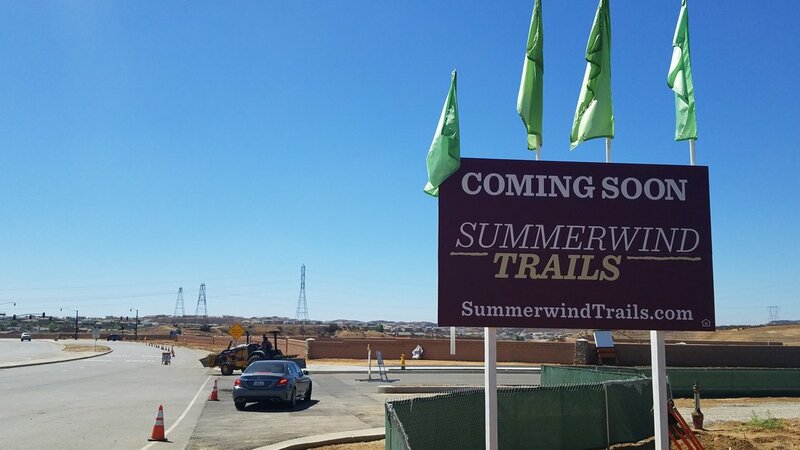 Summerwind Trail's first phase of construction will build 633 new homes, while the entirety of the Summerwind Trials project estimates a total of 3,600 new Calimesa homes. Summerwind Trails will be constructed in phases, but the complete community will encompass more than 2,500 acres, with one of the main entrances designated at Cherry Valley Boulevard and Roberts Road, which will see a tall, monument-style tower constructed. 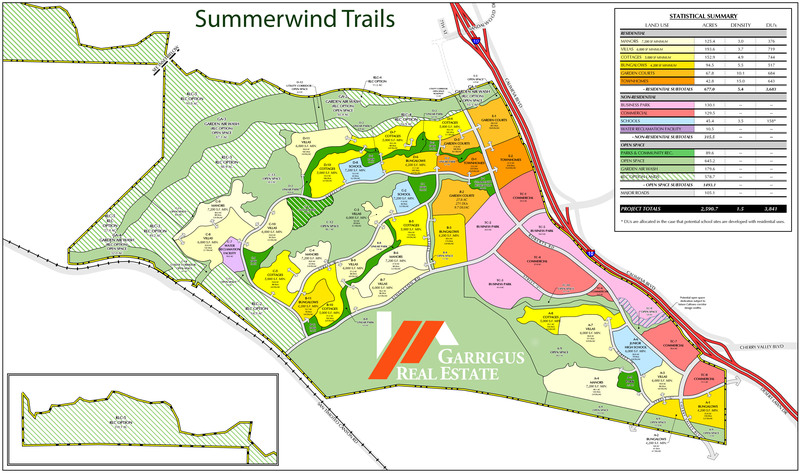 One of the first projects will be the Garland at Summerwind Trails, built by Meritage Homes, and slated to construct homes ranging from 1,990 square feet to 2,686 square foot homes.